Perfectly crunchy garlic bread with Cheddar cheese and mozzarella cheese can be on your table in just 17 minutes thanks to air fryer cooking. All you need is a baguette, garlic powder, Cheddar cheese, and mozzarella cheese and an air fryer! 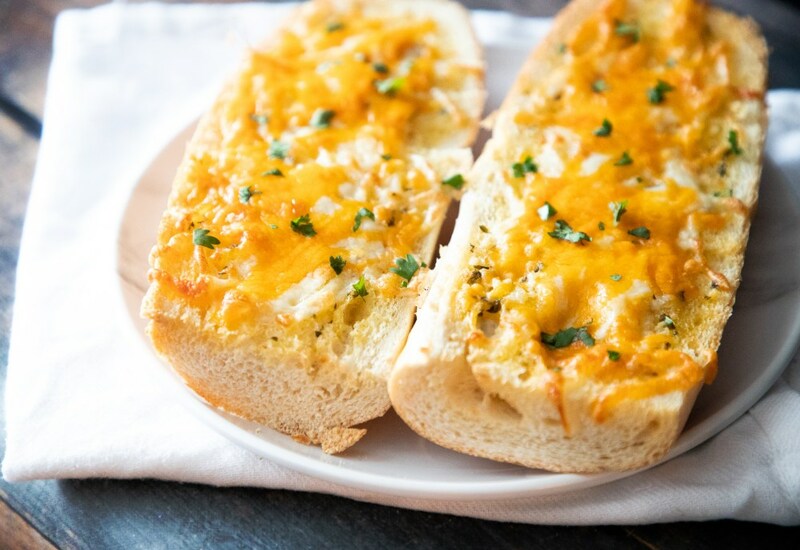 Happy hour, game day, or a weeknight dinner will be made even better with the addition of these slices of garlic bread. Eat them as is, or serve alongside your favorite marinara sauce as a dipper. Try 1 or 2 cloves chopped fresh garlic instead of the garlic powder for a different garlic kick. Other varieties of cheese would work well. Try sliced Provolone cheese or an Italian cheese blend or freshly grated Parmesan cheese. Per Serving: 289 calories; 15g fat; 29.2g carbohydrates; 10g protein; 38mg cholesterol; 605mg sodium.